This page lists all reports that for Thailand only that do not involve other countries. 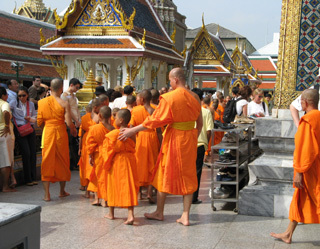 Click here for a list of all reports involving Thailand. Nachdem wir einige Tage in Bangkok verbracht haben, sind wir mit dem Zug nach Norden gefahren, wo wir von Nong Khai bis Sukhothai 580 km radelten. 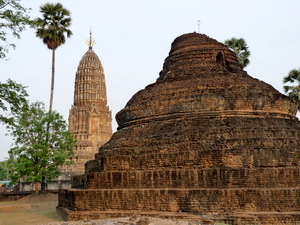 Anschließend haben wir Chiang Mai und Ayuthaya besucht. Here are the day-by-day detailed route notes of the ten day, 248 mile, 398 kilometer ride from Bangkok to Chiang Mai, Thailand. Here are the day-by-day detailed route notes of the thirteen day ride from Bangkok to Phuket in Thailand.